(1853-1932) Born in Copenhagen, Denmark in 1853, Carlsen was an architectural student at the Danish Academy before immigrating to Chicago in 1872. After a six-month sojourn in Paris, he returned to Chicago and taught at the newly formed Art Institute of Chicago. Carlsen returned to Paris during 1884-86 and began specializing in still lifes. In 1887, at the request of Mary Curtis Richardson, he moved to San Francisco to succeed the late Virgil Williams as director of the School of Design. 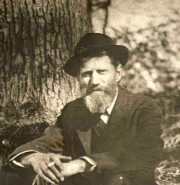 He shared a studio on Montgomery Street with Arthur Matthews, a close friend whom he had met in Paris, and also taught at the local Art Students League. He was an active member of the Bohemian Club during his four years in San Francisco. However, his time in California was not particularly successful due to limited sales and exhibition opportunities. Returning to New York in 1891 penniless, he taught regularly at the National Academy of Design and by 1896 had gained financial success and recognition. In 1906 he was elected a member of the National Academy of Design. 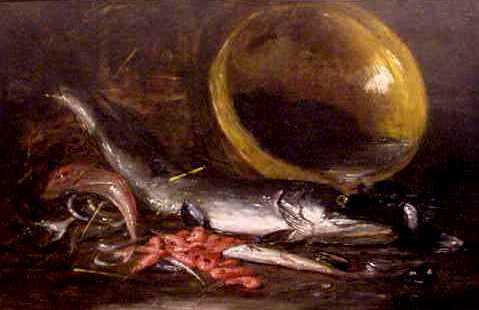 He also painted vaporous, delicate marines, but it was his still lifes which made him one of America’s most famous painters of copper kettles, gleaming bottles, fish, and game. Carlsen died in New York City in 1932. Works held: Metropolitan Museum; de Young Museum; Oakland Museum; National Museum of Modern Art; California Historical Society.